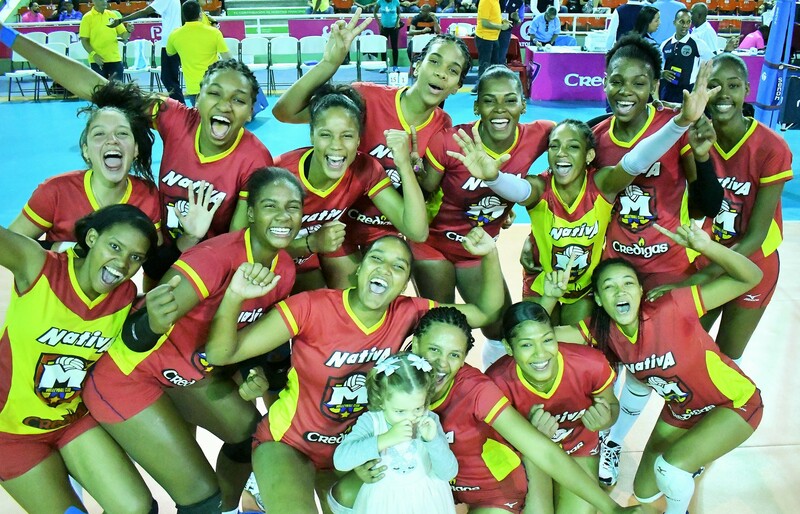 SANTO DOMINGO, Dominican Republic, March 23, 2019 – Mirador advanced to the final series of the Women’s Dominican Volleyball Superior League after a 3-0 (25-17, 25-15, 25-15) victory over Caribeñas on Friday night. Mirador finished the preliminary phase with a 7-2 win-loss record after going out 1-8 in the inaugural 2018 season. Bethania de la Cruz was the main offensive weapon for the winners with 12 points. Natalia Martínez and Geraldine González (six blocks) each contributed 11 points in the victory. In the other match of Friday, Guerreras claimed their only victory with a 3-0 (25-23, 25-20, 25-19) decision against Cristo Rey. Priscila Rivera had 23 points for Guerreras followed by Jeoselyna Rodriguez and Dahiana Burgos with 13 and 12, respectively. Caribeñas and Cristo Rey now will meet in a best-of-three semifinal series starting on Sunday.